Stretch Marks, throughout phases of rapid weight gain, skin stretches to accommodate increased body volume. As skin is elastic, it will tolerate significant stretching over a short period of time, such as throughout pregnancy. At some point, however, skin reaches a threshold, and the deepest layer will tear instead of stretching further. After the deepest layer of skin tears, the overlying skin remains intact but looks thin and streaky. These streaks are known as stretch marks, once they happen, they are permanent. While some physicians claim that lasers are effective in removing stretch marks, there is no evidence to support this. 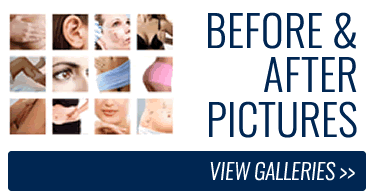 Most plastic surgeons think that lasers are ineffective in treating this problem. Lasers are effective in removing, vaporizing, and breaking down tissues. They do not usually repair tissues. Stretch marks signify torn tissue. Therefore, improvement should not be expected from laser treatment. Furthermore, clinical studies have shown no improvement after laser treatment. Abdominal stretch marks occur mainly below the belly button. The only way to eliminate stretch marks is with a tummy tuck. During a tummy tuck much of the skin below the belly button is removed, therefore stretch marks in this area are also removed. There is no other proven treatment for stretch marks. 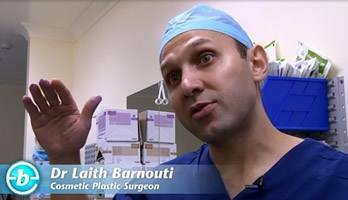 For more information, enquire with Dr Barnouti’s office.